It’s been a memorable year for Kids Health Matters, our newsfeed dedicated to sharing stories of Gillette patients and providers, research and innovation, and information that’s important to the children and families we serve. As 2016 comes to a close, count down with us and discover the stories that our visitors enjoyed the most—along with the hidden gems you might have missed. 10 - Saving Ahriana After Near-Tragic Accident: When Ahriana sustained a serious head injury after a TV fell on her, the Level I Pediatric Trauma Center at Gillette and Regions Hospital took immediate action to save her life. 9 - Announcing Our Top Doctors and Rising Stars: Drumroll please! 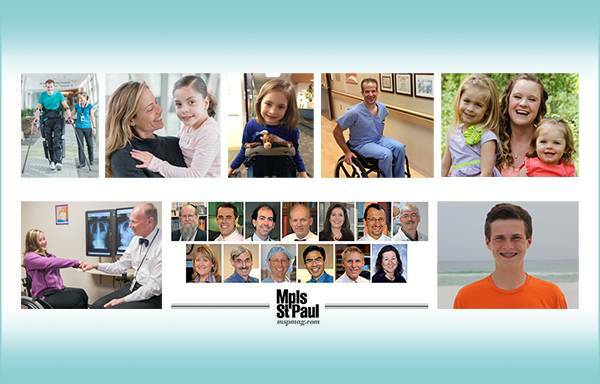 See which Gillette physicians were named to the Mpls. St. Paul Magazine’s annual Top Doctors and Rising Stars lists. 7 - Family Makes 700-Mile Journey to Treat Daughter’s Cerebral Palsy: Sophia and her family traveled from their home in Arkansas to Gillette for a major surgery, not offered in her home state, that would dramatically improve her mobility. 6 - Longtime Gillette Employee Helps Patients See Possibilities: When patients arrive at Gillette for surgery, the first face greeting them is likely Nick Lohmer. Lohmer, a nursing assistant, can uniquely relate to his patients, as he has spina bifida. 5 - What Happens When You Have Your First Seizure: “I’m still me. I’m not fragile; I’m doing just fine.” George experienced his first seizure during summer camp. Eight years later, talks candidly about epilepsy and his treatment at Gillette. 4 - A Promise to Her Dad Motivates Maria Renata: Maria Renata and her mom traveled to Gillette from Mexico City for treatments and therapies to manage her cerebral palsy. She hopes to one day walk on the beach with her dad. 3 - Breaking New Ground in Duchenne Muscular Dystrophy Research: Neurologist Stephen Smith, MD, says he’s encouraged by several new research developments that will benefit patients who have the progressive condition. 2 - A Day in the Life: Raising a Child Who Has Special Needs: Aimee Blanchett, mom to a little girl who has cerebral palsy, shares the joys and challenges of daily life—and the importance of celebrating her daughter’s unique milestones. 1 - Jackson Defies Gravity with ReWalk Robotic Exoskeleton: Read the back story behind this inspiring video about Jackson’s journey with advanced technology that helps him take to his feet.